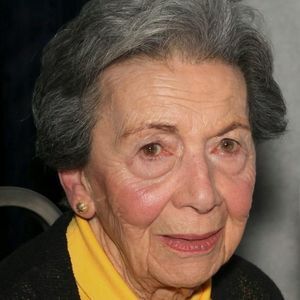 Amelia Galiani of Pelham Manor NY passed away on Friday March 15th, 2019. She was 102 years old. Amelia was born in Pittsburgh Pa. to Fortunato and Ernestina Anzovino before moving to the Bronx when Amelia was a child. She was raised in Fordham with her younger brother Ernest. Amelia attended local schools in the Bronx before graduating from Hunter College with a degree in Languages. She worked as a news translator during World War II at CBS. Amelia would meet her husband Joshua through a mutual friend. They would marry at Fort Hamilton, Brooklyn in October of 1944. The couple would move to Pelham Manor in June of 1950 where she resided in the same home until her passing. Amelia left her job with CBS to raise her three children who meant the world to her. In her spare time Amelia was very active in the Pelham Community. She was a member of the Pelham Country Club for over 60 years where she enjoyed golfing with her late husband Joshua. She was a member of the Rosary Altar Society of Our Lady of Perpetual Help Church, a Lady of the Holy Sepulchre and an active member of The Manor Club. She will be remembered as a generous, loving woman who was kind, intelligent and most of all a lady who always put family first. Amelia is survived by her three children Dr. Anthony "Tony" Galiani (Kathy), Virginia Manganiello (John) and Dr. Joshua Galiani (Meg). She will be missed by her 10 grandchildren and 10 great grandchildren. She is predeceased by her husband Joshua Galiani MD and her brother Ernest Anzovino. She will be missed by her many friends and everyone who knew her. A celebration of Amelia's life will take place at the Pelham Funeral Home located at 64 Lincoln Avenue, Pelham NY on Tuesday, March 19th from 4:00 PM to 8:00 PM. A Mass will take place at Our Lady of Perpetual Help Church located at 575 Fowler Avenue, Pelham Manor NY on Wednesday March 20th at 10:00am. Interment will follow at Gate of Heaven Cemetery. 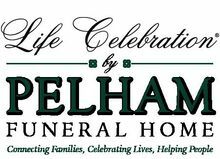 For more information or to leave a condolence please visit www.pelhamfuneral.com. Add your thoughts, prayers or a condolence to Amelia's guestbook.